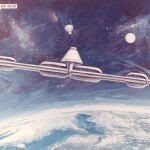 Since the space race between the Soviet Union and United States in the late 1950’s, the prospects of humans creating habitats and living in space has been quite eccentrically portrayed by movies as warring intergalactic societies or even as highly advanced spacecraft supporting cryogenically frozen crew members. How close have humans come to the glamor of Hollywood? Here is a list of the major habitats humans have created in Space since Neil Armstrong first walked on the Moon in 1969. 1971 Salyut 1 First space station to orbit Earth. Successful until the crew was killed during reentry in October 1971. 1972 none The 2nd space station failed to reach orbit and crashed into the Pacific Ocean. 1973 Kosmos557 4th Soviet space station that spent all its fuel and burnt up in the Earth's atmosphere a week after it was launched. 1977 Salyut 6 Housed the first Black Hispanic and Asian persons in space. Highly successful international accomplishment. 1972 Salyut 2 Part of a secret military program. 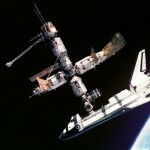 This space station was error prone and didn't house any cosmonauts. 1973 Salyut 3 Military space station that housed cosmonauts and test fired weapons that destroyed a satellite. 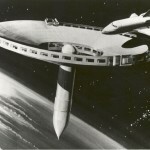 1976 Salyut 5 Last military space station due to the popular use of spy satellites. 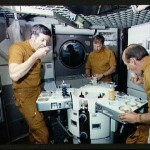 The first “American home” in space was a workstation known as SkyLab that was launched by NASA from 1973-1979. 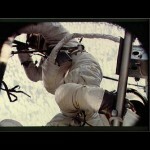 Although SkyLab was exploring the prospects of humans living and working in space for extended periods of time, a majority of media coverage was dedicated to the Apollo missions to the Moon as the United States nudged ahead of the Soviet Union in the Space Race. The purpose of Skylab was to prove that humans could live and work in space for extended periods, and to expand our knowledge of solar astronomy well beyond Earth-based observations. 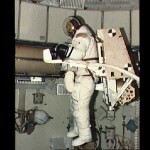 SkyLab was successful in all respects despite early mechanical difficulties that were fixed by the crew. SkyLab was successfully discontinued when the space station intentionally reentered the Earth’s atmosphere and its debris was scattered across the Indian Ocean. Mir which means “peace” in Russian, was the first consistently inhabited long-term research station in space and was operated by the Soviet Union and Russia for 10 years from (1986-1996). 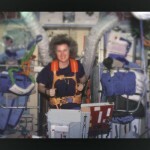 The MIR is famous for its life support system that recycled urine and methane(from farts) to produce breathable oxygen. MIR may have been orbiting the Earth, but gravity was still 88% of what we feel on Earth. This is described as microgravity and not zero gravity. 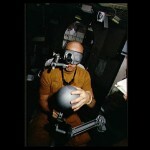 MIR also spearheaded international cooperation at its space station. 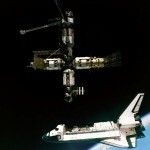 Many people focus on NASA going to Mars, or NASA shutting down the space shuttle program, but the International Space Station is still the most successful jointly operated space station in history. The ISS is jointly operated by NASA and 4 other space agencies around the world. The main players are the Russian(RFSA) and American(NASA) space agencies. It is rumored by astronauts that the Russian half of the ISS has a comforting home feel to it while the American side is brightly lit and structured like a laboratory. 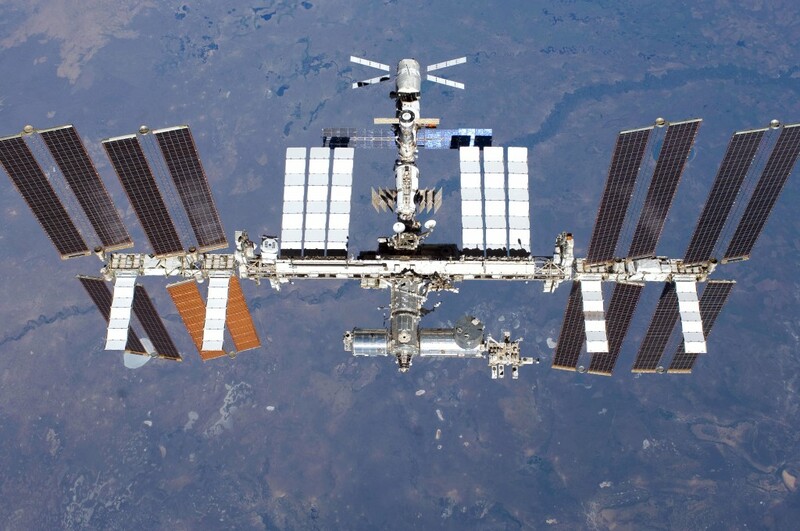 The ISS has also led to over 580 patents in the past decade that range from biotechnology to aerospace technology. Since 1971 many space stations have orbited the Earth. 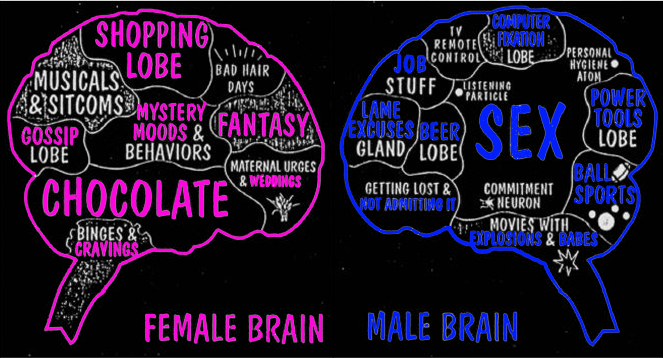 Some have been successful while other suffered catastrophic errors which ended their operation earlier than planned. 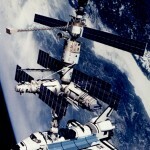 The ISS is only long-term space station as of 2012. Although magnificent in many way the ISS may not live up to the glamour Hollywood has portrayed with “deep sleep” chambers or teleporters to dock to spaceships. One cool thing we may be able to do in the future is Terraform Mars to support human life. Check this link out on the MyMoonSpace.com website by the Lunar & Planetary Institute and NASA to see how this may be possible.